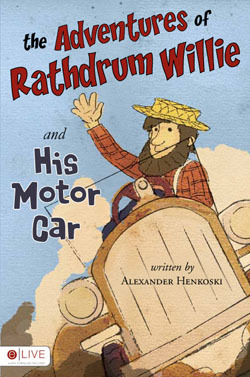 Alexander enjoys writing short comedy stories about his Character "Rathdrum Willie" (a persnickety hermit). This is the first book in the Rathdrum Willie series. It all begins when Willie builds a car without brakes! follow Willie through the country side and around town as he makes a grade "A" pest of himself in The Adventures of Rathdrum Willie and His Motor Car.